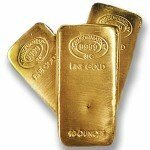 In the world of precious metals, most people think of gold and silver bullion products first and foremost. Platinum bullion products are highly prized by investors and collectors for impressive strikes and innovative designs. 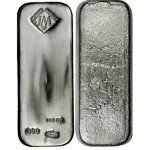 Johnson Matthey is one of the world’s largest precious metals manufacturing and investing firms, and you can now buy a 1 oz Johnson Matthey Platinum Bar from Silver.com in new condition, complete with assay card. Platinum has many uses in the modern world, and is considered a rare precious metal when it comes to bullion products such as coins and bars. Johnson Matthey is one of the world’s leading producers of platinum bullion products. Prior to World War II, platinum was commonly used in jewelry. During the war, all precious metal use was banned as platinum and other metals were declared strategic to war efforts. Following the war, platinum reappeared as a popular choice in jewelry. Other uses of platinum include the manufacture of lab and dental equipment, as well as catalytic converters in the automobile industry. 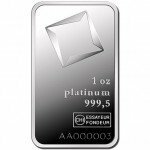 Platinum remains a rather rare precious metal, both in terms of availability and visibility in the market. 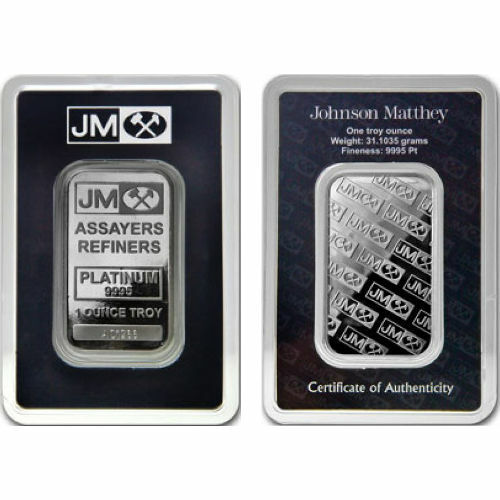 On the primary side of the 1 oz Johnson Matthey Platinum Bar is the engraving of the company logo. The logo consists of the company’s initials, JM, next to a crossed pair of hammers. Underneath the image are the engravings “Assayers,” “Refiners,” and the metal content, purity, weight, and individual serial number of the bar. The opposite side of the bar features the company logo, JM, with the hammers arranged in a repeating set going diagonally across the bar from the upper left to the lower right. The reverse side of the packaging consists of details about the weight and purity of the bar, as well as its certificate of authenticity. Johnson Matthey is a multinational specialty chemicals and sustainable technologies firm located in the United Kingdom. The company first opened in 1817 when Percival Norton Johnson established a gold assayer’s business in London. In 1851 he teamed up with George Matthey, and the duo was appointed an Official Assayer & Refiner to the Bank of England. If you have any questions about this platinum bar or other Silver.com products, don’t hesitate to contact our associates on the phone at 888-989-7223. You can also get in touch with us online by using our live chat service.